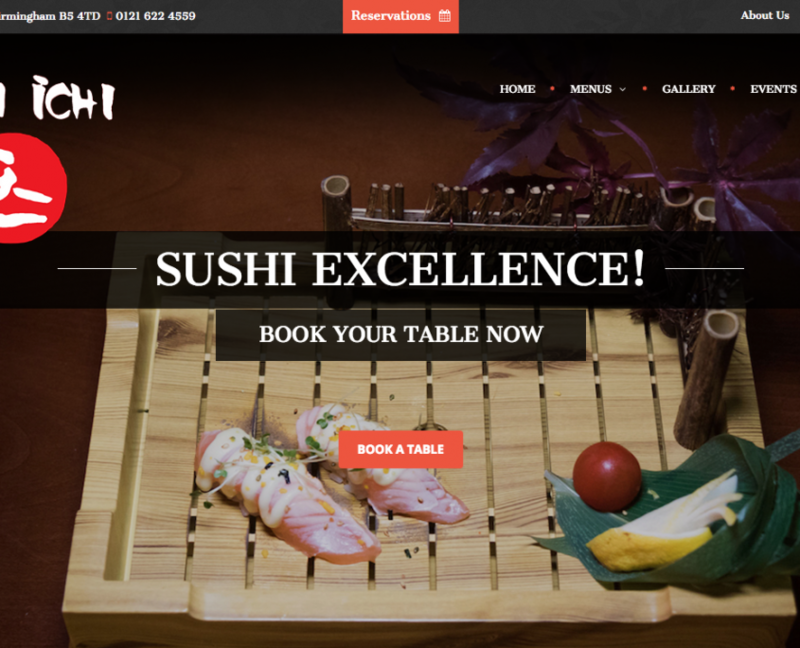 They offer a wide selection of authentic Japanese cooking, including freshly prepared sushi, tempura and much more! Based in Birmingham they are open every day, and invite you in to relax in their contemporary yet traditional style restaurant and enjoy the luxury cuisine. Ten Ichi are based in the Archadian Centre in Birmingham where there are lots of choice for the locals or tourists that visit Birmingham. Ten Ichi had one main goal for us. To re-design them a stylish inviting website that would attract people to them. 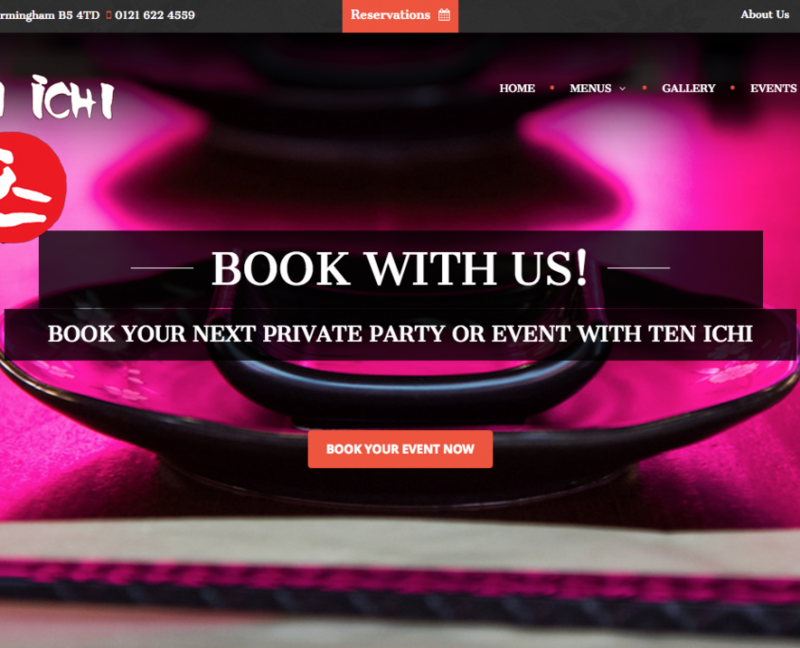 We did it, and within hours of the launch of the new website they were getting bookings via their website! The new website includes many new features including; eye capturing images, menu items, special menus, testimonials, up and coming events, gallery, news page and the ability to make reservations online.